Posted: Thu Nov 16, 2017 4:01 am Post subject: Heroclix: Harley Quinn and the Gotham Girls! 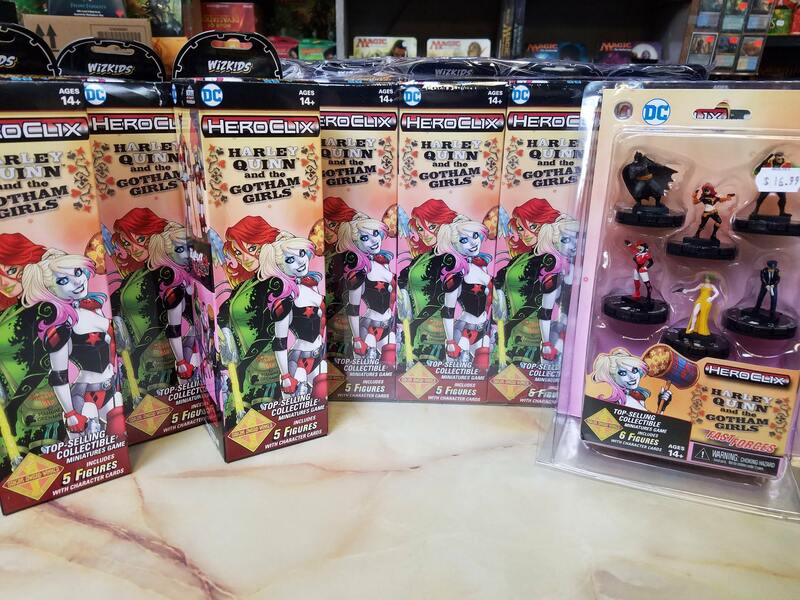 The latest and greatest set of DC Heroclix has arrived, featuring a whole lot of Harley Quinn and her friends and enemies from Gotham City. Here at Merlyn's we've got tons of the new booster packs as well as sealed bricks and the new Fast Forces set available right now. Come check out the new set and the rest of our huge selection of Heroclix stuff in store today!